He has over 12 years’ experience in investment banking and project financing in leading financial services organisations such as HSBC, UBS, Deutsche Bank, Lloyds Banking Group and Royal Bank of Scotland. Bankole's ﬁelds of expertise include Deal Origination and Structuring, Strategic Planning, Risk Analysis, Financial Modelling, Transaction Structuring and Deal Execution. 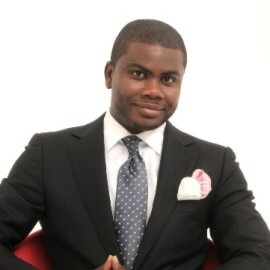 Bankole’s core deliverables over the last decade includes setting up several public‐private partnerships, design of public procurement processes in infrastructure financing, pricing and regulation of infrastructure services; public and private sector performance monitoring and macroeconomic and ﬁscal performance evaluation. Bankole is one of the experts on the African Economic Platform (AEP) working on the region's 10-year strategic plan for infrastructural development. He also consults for the African Development Bank (AfDB) and he is a regular contributor to infrastructure financing dialogues on the continent. Bankole has a Bachelors degree in Mechanical Engineering from University of Ado-Ekiti, Nigeria, a Masters degree in Infrastructure Financing from University College London and a MBA from Birmingham University.